Lithotripsy, the leading technology for the treatment of genitourinary stones, is the cornerstone technology of AKSM. Today, approximately 1,500 physicians across the country use AKSM’s lithotripsy services. This represents a healthy market share in each of the communities served. 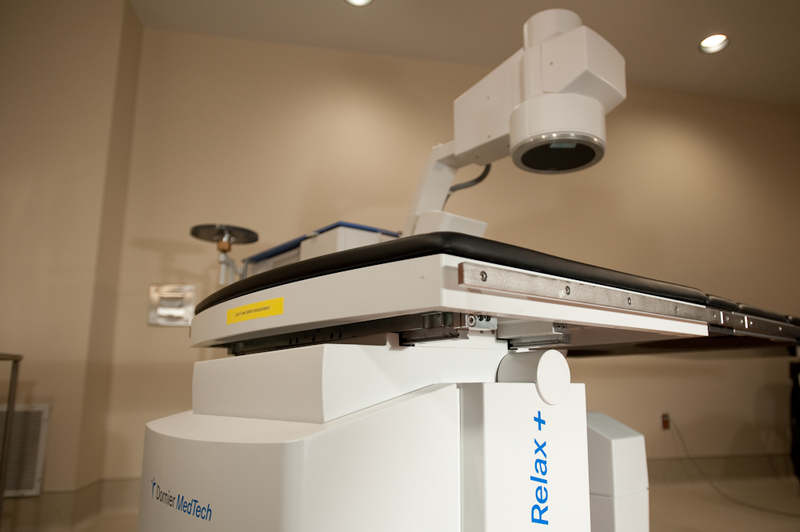 AKSM lithotripsy technologists assist with more than 28,000 ESWL treatments per year. This level of individual specialization along with AKSM’s commitment to continued training on best practices are guiding principles for AKSM – a physician owned company. AKSM operates fixed-site, mobile and transportable lithotripters. In addition to servicing the needs of our scheduled facilities, this network gives AKSM the logistical ability to deploy devices and personnel to facilities whenever the physicians demand. With its Guaranteed Access ProgramTM, AKSM augments regularly scheduled availability of equipment with the delivery of mobile lithotripsy services with only 24-hours notice. State-of-the-art care, delivered when you need it. That's the AKSM promise.